I usually see these posts on New Year, birthdays or some other big dates during the year. For me, there's not anything special happening now, but I had some more time lately and I mostly spent it thinking about my life and future. And, as it usually goes, I went to the dark side. I thought about all the bad things I did to ruin my plans. Or should I say, stuff I didn't do to accomplish them. But let's start from the beginning. I'll tell you my plans in short. I'm 23 now. By this age, I always thought I would be done with uni/college, with a large group of friends that would have a usual meet-up place like they do have in the movies. I also thought I would be engaged by now, with a job and maybe my own apartment. It's safe to say I had big plans for such a young girl. Now, I also need to tell you how the living looks like here so you would get the complete picture. I mentioned it before, but in short, kids here live with their parents until being about 26 to 30 years old. That's maybe so weird and stupid to you, but it's normal here. Young people struggle with getting a job until about being 25 years old and the incomes are really low so this makes sense. Most young people also go to uni/college and are focused on that, so everything else comes in second. Not to go any further into this, just trust me. Are you ready to hear where I am now? Here it goes... I haven't finished college yet (although I'm really close to finishing it), I'm also not engaged. I'm the complete opposite here. I'm single without ever having a boyfriend. I also don't have a large group of friends. I have few here and few there, but they are not connected and I have a feeling I'm losing more and more friends as the time passes. I don't have a job and I'm still living with my parents. Am I depressing yet? Of course, I had more plans, and I still do, but these are some really important to me. Even though these plans were made when I was a lot younger, I still want to accomplish them all as soon as I can. And I probably could have accomplished some if I wasn't so socially awkward and sometimes lazy when it comes to uni. I don't know why I always focus on the bad stuff, but my mind naturally goes there. I usually snap out of it pretty fast and I'm not losing my mind over these, but I still hope all these plans and wishes will come true soon. This year, a lot will change for me so I'll try to focus on accomplishing more of these. Of course, for engagement I should probably find my better half first. Haha. Although I started off on a sad note, I want to finish this with positive thoughts. I want to remind you all, and myself, that even though I haven't accomplished my goals by now, I'm OK. I'm living my life, I'm quite happy with it and I have hope for the even better future. Nothing is lost, I will survive and live my life as a normal person. 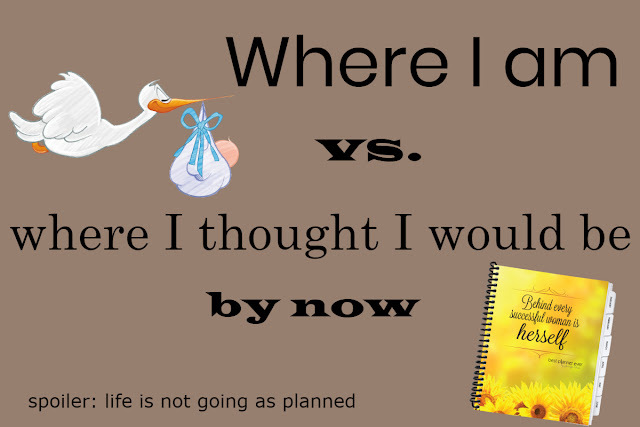 Not accomplishing plans as you imagined can be hard, but we need to let the life lead us. I would also want to take more control of what happens, but that's the part of the charm. Not knowing where the life will lead you. Or I just say that to myself not to feel bad. Either way, I'm OK. You'll be too. What are your big plans you thought you would have accomplished by now?